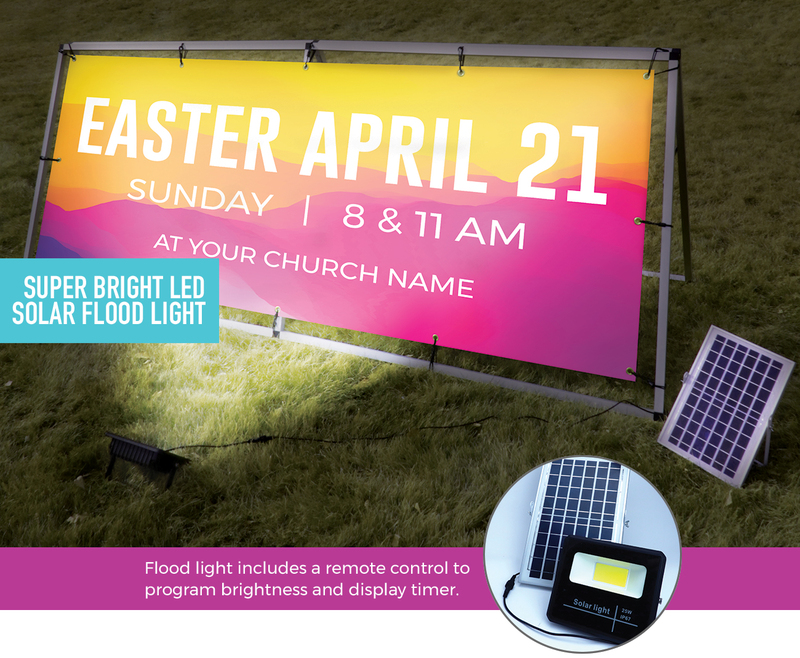 Draw attention to your church and promote your Easter events with a custom outdoor banner - and new Solar LED light! This bright 25 watt LED solar light will illuminate your outdoor banner for 8-10 hours each night. The solar light recharges with the sun during the day - no plug needed and the light is water resistant! Plus the light comes with a remote controlled timer with dimming capability. Quantities are limited so order early!